Ok, Jane the Virgin fans. We need to talk. Every Friday night is the best night because Jane is on. And as we all know, Jane the Virgin is the best. Jane Gloriana Villanueva has always dreamed of being a writer, and now, her dreams have come true. In last night’s episode, “Chapter 70,” her book was finally published. But wait, there’s more! It was also published for us in real life. You — yes, you! — can now read Snow Falling, the book from Jane the Virgin. The excitement of last night’s episode was so palpable. Jane did about 100 happy dances and celebrated her huge accomplishment. The episode ended with a book party and tons of sales. We knew that her book Snow Falling would be published IRL, but we’re so happy that it’s finally here! The book was released on November 14th and is now available to purchase. For those who don’t watch Jane the Virgin, Jane unexpectedly lost her husband Michael in Season 3. Even after his death, the show has done a great job paying sweet tributes to Michael. If you’re having a hard time getting over losing him, Snow Falling is the perfect way to cope. And Snow Falling being published in real life may be the sweetest tribute of all. Are you still looking for Jane and Michael’s happily ever after? It’s not a spoiler to say that Snow Falling depicts the perfect happy ending that the couple never got to have. Jane talks about it in the show. And though it will not be her character’s reality, we can live through the fiction-within-fiction in the novel. Snow Falling is similar to the show, but it definitely lives in its own world. Jane’s character is named Josephine, and Michael’s is named Martin. Rafael is named Rake Solvino, and the hotel and Jane’s family are all very prevalent in the novel. One of the coolest things about Jane the Virgin is how outlandish the plot lines are while still remaining relatable and full of heart. If you can wrap your mind around the fact that this novel is fiction based on fiction, you are ready to read it. 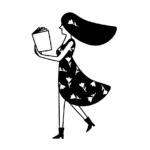 Snow Falling is being published by Lorden + Gregor, a fictional press represented by the real-life Adams Media — an affiliation of Simon & Schuster. Jane the Virgin creator Jennie Snyder-Urman weighed in on the excitement. "I'm so thrilled that Adams Media as Lorden + Gregor is bringing Jane's first novel to life and I can't wait for fans to get to read it!" she said in a press release. "Prepare to get swept up in an epic love story." The cover of Snow Falling is VERY Jane the Virgin as well. As fans of the show know, Jane’s current boyfriend designed the cover, and it is Fabio-licious. 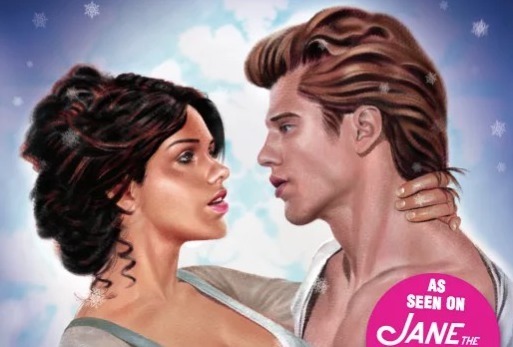 The stereotypical romance novel cover makes us want to read it even more. We also love how much they are leaning into Jane being the author of this book. This is not by Rodriguez or Snyder-Urman. It’s by the fictional Jane Gloriana Villanueva! (We’re choosing to suspend disbelief and pretend that it’s true.) Snow Falling lives so strongly in the Jane the Virgin universe that the reviews are even from the show’s characters. When Jane the Virgin goes on break next week, we know what we’ll be doing. Snow Falling is now at the top of our winter reading list!